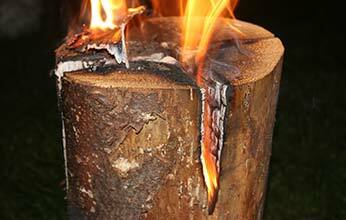 Swedish log candles are so called because it is said that the old Swedish woodsman would use them to cook on. We make our candles by using well seasoned soft wood. 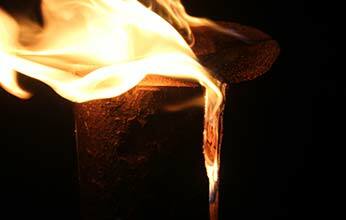 We do this to give you the most heat and flame as possible from our products. The effect once alight will be the talking point for the whole evening. 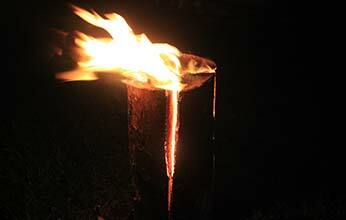 Just place outside and use one of our natural biomass firelighters in the cross at the top. 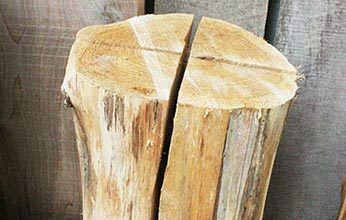 You may also need a small amount of kindling and in no time your log candle will be lighting the night with flame. As the embers fall into the recess the log will catch inside and continue to burn for you to enjoy. With Autumn closing in these are absolutely perfect for your Bonfire night and Halloween celebrations. They make an ideal self contained fire for the garden, providing an outside light and heat source which will burn for hours. Please note that 20% VAT will be added for these products. 1, 2, 3, 4, our products to your door. You can pay over the phone, at the yard or on collection. We can deliver or you can come and collect from us. Pick your product, size and amount. Get in touch with us with your order. We can deliver to you or you can come and collect from us.